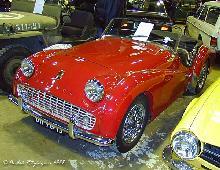 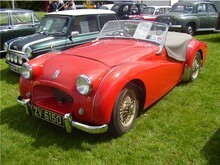 Triumph launched the first model in its TR range in 1953, the TR2. The TR2 was well received by the motoring press and it quickly established a strong place in the British sports car market, this was the first model in a range destined to stay in production for many years. 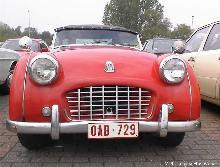 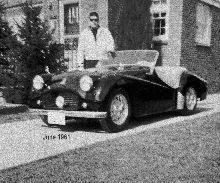 The TR2 came as an attractive open roadster with cutaway doors and a front wing line that flowed gracefully up and over the rear wheels, the TR2 was certainly a good looking car with a purposeful look. 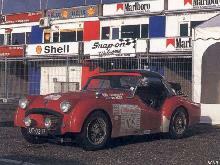 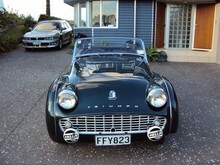 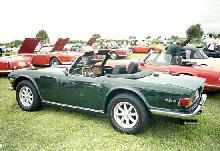 Mechanically the TR2 used a twin-carb Standard Vanguard engine which produced around 90bhp. 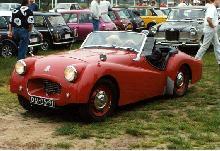 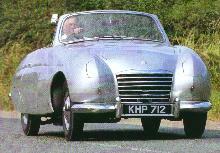 The TR2 sold well at home and abroad and could be equipped with extras such as wire wheels, overdrive and a removable hardtop roof.